We don’t often think about outdoor/active toys in the winter, but getting our kids MOVING is so important. 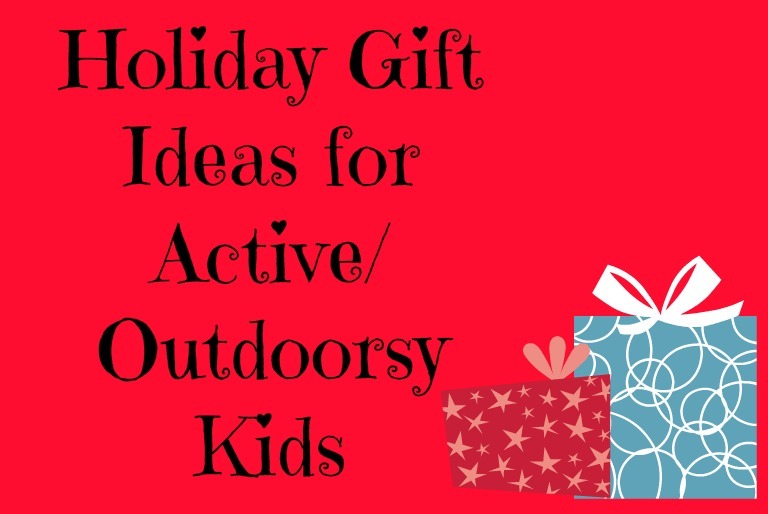 We try to get outside as often as possible, and these items are great for a day in the backyard, an afternoon at the park, or for kids wanting to develop their athletic skills. Get your kids moving this holiday season! *While this post includes affiliate links (thank you for your purchases!) I was not paid in any way to suggest these items. Each of these items were handpicked as they promote PLAY and movement! Do you remember how much fun parachute day in PE was? Why not get one of your own? We recently got a parachute and our kids LOVE it! This is a fun and unique gift that is sure to stand out! When a big backyard trampoline just isn’t in your budget, opt for a personal/exercise trampoline. Prior to purchasing our large trampoline, our children LOVED playing with our small trampoline. When the kids were ramped up and needed to release energy, simply jumping on a trampoline can help! These are great exercise and a lot of fun. I love these. Watching my kids skate around the kitchen floor in these skates is the world’s cutest thing. I love their little shuffle, as they are learning to skate. I had the chance to review some of these earlier this year, and I have to say that the 6 of us had one of the best nights of the summer playing with them. It was SO much fun to try to master flying these planes together. A fun, unique, and affordable gift. Who says you can’t enjoy sidewalk chalk in the winter? I love getting my kids outside whenever I can, and sidewalk chalk is one of those great all-year-round outdoor toys. When the grass is too wet to play in, hang out in the driveway and draw some great winter scenes, play hopscotch, or practice letter writing! I have had the most fun watching my son work at becoming a better ball player with his t-ball set. This set gives a child confidence while building their skills. TONS of fun! This is an ideal set for kids who love sports or want to improve their skills. Work on soccer or hockey with this fun set that includes the goal, soccer ball, pitch back ball, hockey puck, and hockey sticks. An incredible value for all the set includes! Sand toys are NOT just for the summer sand! We love to use our sand toys out in the winter snow! It’s tons of fun to build a snow castle! My kids also love to take their buckets, shovels, and other sand toys in the tub!